Why not visit Luxembourg by motorhome? 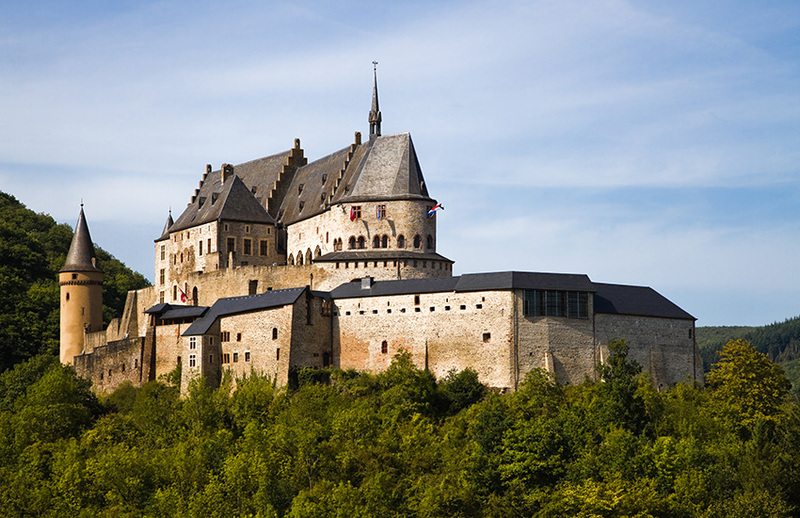 Luxembourg is an interesting and varied country with many tourist attractions. The most popular destination is the fortified City of Luxembourg, the oldest parts of which have been declared a UNESCO World Heritage Site. 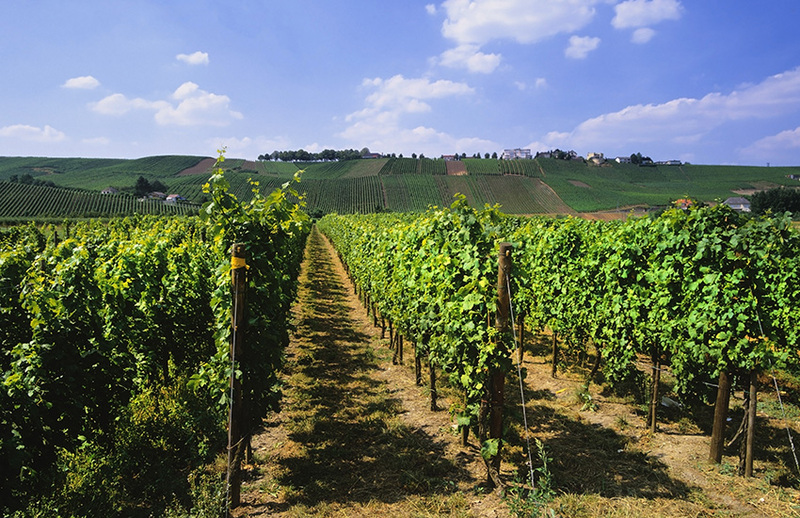 The Moselle wine region is a popular place to visit. There are many wine cellars offering wine tastings and guided tours. 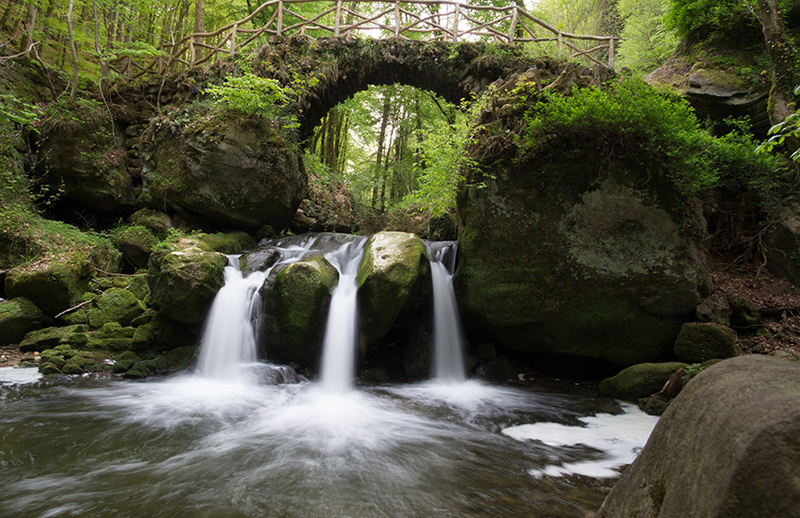 Popular outdoor activities include the 100 Km footpath of the Mullerthal Trail, where you can see the rock formations, forests and canyons of Luxembourg’s “Little Switzerland”. 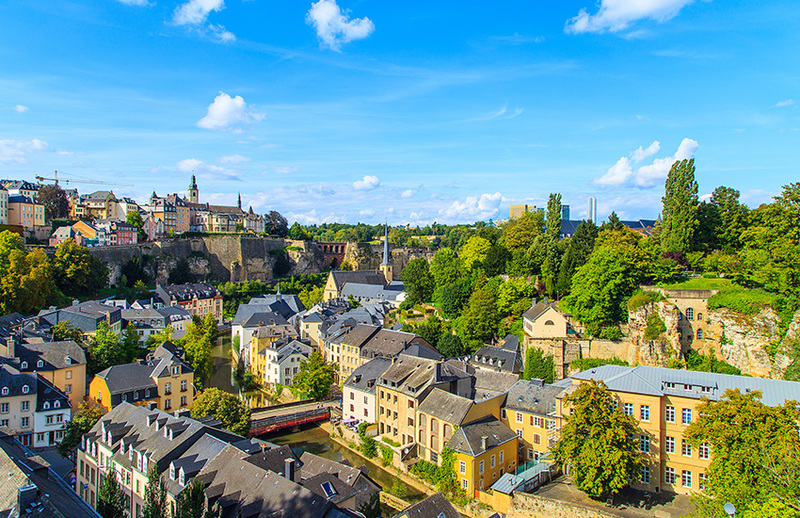 Luxembourg city is the capital of Luxembourg. It is a multi-cultural city in the heart of Europe. Here you will discover picturesque locations, historical heritage and artistic treasures. You will enjoy a modern town. Take the time to take a guided tour. Walking tours are recommended. The city is one of culture and you can find festivals, celebrations and concerts throughout the year. 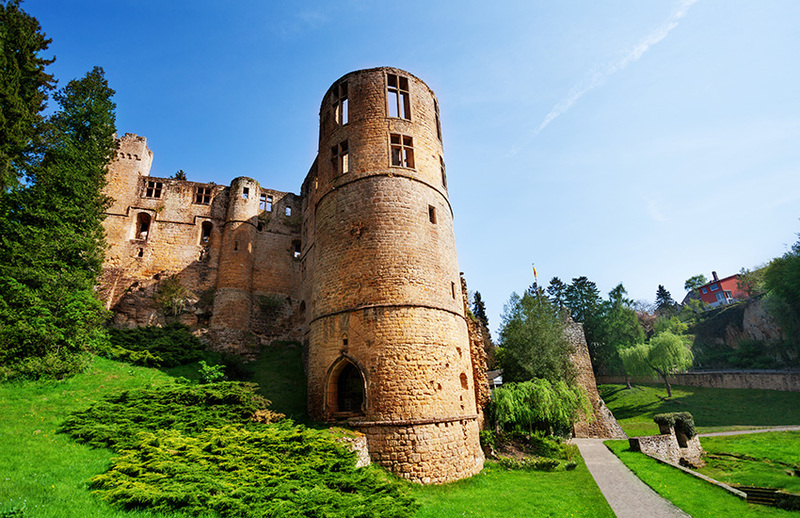 The main places to visit in Northern Luxembourg are Esch-sur-Sure where you will find a wonderful castle that first dates back to Romanesque times. 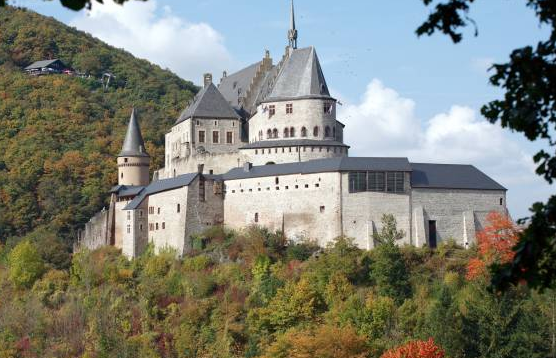 Also visit Bourscheid’s dramatic castle ruins and the charming village of Vianden which also has a castle to admire. Between here and Luxembourg City is anarea called Gutland (translates to ‘Goodland’. This is a heavily farmed region, it is not an area that appeals much to most tourists as the towns there are fairly non descript. See the link below to view the castle at Vianden. Mullerthal is often referred to as Little Switzerland of Luxembourg. This is because the landscape is hilly and it is reminiscent of Switzerland. The capital of the Mullerthal region is Echternach. Echternach is the oldest city in Luxembourg. Well worth a visit is the Roman Villa, The Benedictine Abbey of Saint Willibrord and the cultural centre of Trifolion. You can go hiking if you wish along the Mullerthal Trail. The trail is 112km of valley trails. Rock formations will lead you through fields and forests into the heart of a natural setting that is almost intact. This whole trail is obviously very demanding. The Mullerthal also offers a network of pleasant walks with some breathtaking panoramas. The city has a medieval ambience with its labyrinth of streets, the remains of the city walls and a market place with a Gothic house. When you visit you will feel like you are stepping back in time. Echternach has a wide variety of cultural events during the summer months. The Trifolion is a well designed cultural and conference centre and boasts a sophisticated programme. The history- the origins of the city wall go back to the 10th century. The wall was enlarged and towers were built in the 13th century. Five of these towers have been preserved and restored, two of them are now rented out as holiday flats. Don’t miss the Gothic house. It was rebuilt in 2000. Also visit the cross of justice which can be found on the market place. This represents the sovereignty of the abbots over the city bourgeoisie. Vianden is a medieval town with a castle. In Vianden you will also find Victor Hugo’s house, a museum, chairlift, gothic churches, an adventure park and signposted walks. This is Luxembourg’s outstanding tourist destination. Each year thousands of visitors walk through this small town of the Middle Ages. Visitors can explore the town’s history in an attractive tourist environment with a lovely outdoor swimming pool, a climbing park with a zipwire and the only chairlift in Luxembourg. This offers a great view of the whole region. 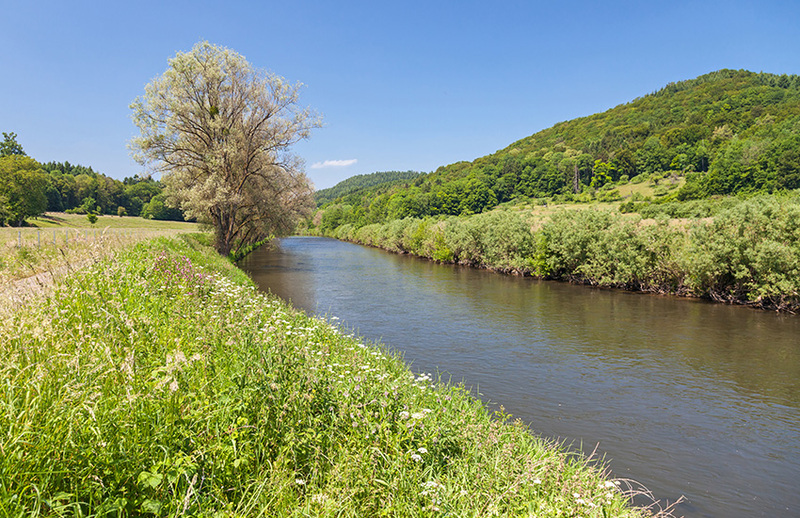 The Moselle River is one of Luxembourg’s main rivers. The Moselle is one of the most beautiful valleys of Luxembourg. 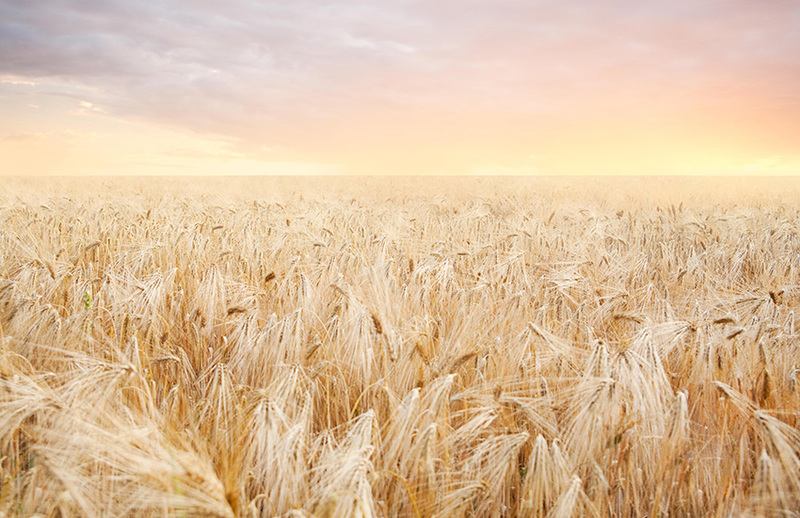 It is famous for its wineries and medieval towns. The valley of the Moselle is famous for its steep hills and vineyards. Wines from this area are Riesling, Auxerrois and Pinot Gris. There are themed hikes, such as the wine route, are dedicated to the discovery of this region. The Moselle also attracts people who are interested in watersports and hiking. Swimming, water skiing or Nordic walking are just some of the activities that are in this area. You can also take a small cruise ship on the river here all year round. In Beaufort you will find impressive castles, an ice skating rink (open end of October-mid March). You will also find an outdoor adventure pool which opens from mid May until the end of August. There is an opportunity to hike through its lush vegetation, huge rocks and enjoy spectacular views of romantic and unamed valleys. There are many restaurants to try and don’t forget to try Cassero which is a blackcurrant liqueur produced at the castle. Would you like to tour Luxembourg in a motorhome?